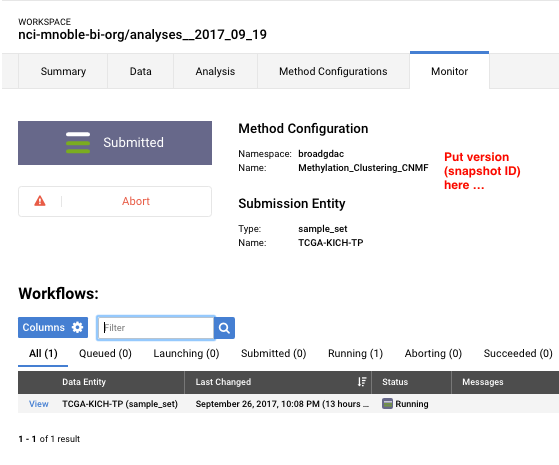 Presently, when viewing a submission view the Monitor tab in the UI, the method config version is not displayed (see attached example) . This would be very helpful to have. I will certainly put in a feature request for you. Thank you for your suggestion!